We are happy to work with you if you find an item you have purchased does not work for you. We accept returns within 30 days of purchase. We cannot accept returns on items that have been opened. Item must be returned in new condition - both item and packaging. If you have created an online account with us, simply login to your account. Click the My Account tab in the upper right. View the order using the "Completed Orders" link and click the Return Item(s) button. From there, follow the online instructions. 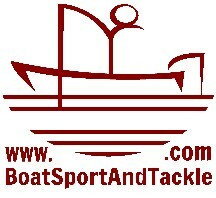 If you have not created an online account, please contact us for instructions either by email - doug@boatsportandtackle.com - or by phone at 1-317-520-2628. NEW ITEMS - within 30 days - refund of the purchase price after return of item. Item must be returned in original unopened package. USED ITEMS - Exchange Only - Return must be approved prior to return - Exchange will be approved after inspection of return.